In my last post I mentioned I was updating some software. At work we use Autodesk Inventor 2008 for our 3D design & modeling. I was applying Service Packs 1 & 2 to that and the AutoCAD that comes bundled with Inventor. I am the CAD manager for my small little group and had disributed the service packs to the other users and managed not to install them for myself. 😮 After the program kept crashing while trying to a simple task I decided to check for hot fixes for the issue. That is when I realized that I wasn’t up to date with the service packs. And wouldn’t you know it after updating the problem went away. Stay up to date people. Shortly thereafter, and now at home, my Windows XP laptop told me that Service Pack 3 was availible and it would like to update it. Service Pack 2 for Win XP included a lot of big changes so I did some Google searches and read around at winsupersite.com about it first. There isn’t any drastic changes in it, mostly a round up of hot fixes. But one unintended side effect is that the update wiped out my patched uxtheme.dll file. No more custom skins until I re-patch it, which I haven’t yet. Also when it rebooted with Win95 looking windows I went into the display properties and reset the Theme back to WinXP. What I should have done is reset the Apperance because resetting the Theme cleared out my custom icons. And my trial of Icon Packager was up a long time ago. So I’m back to a stock looking WinXP for a while. Boo. Hopefully someone else reads this and doesn’t make the same mistake. And speaking of updates there is two pckages of software I like to use on my Windows computers that always seem to have updates. To the point where it is annoying. Filezilla (an FTP client) and Paint.NET (a lighweight graphics program). It seems like everytime I go to use these programs there is an update availible. Can’t you limit this to once every three months or something. Both come with one click updaters which is nice. Filezilla’s update is fairly quick and painless. But Paint.NET’s takes forever. It’s always stuck on “Optimizing for your computer”. What does it have to optimize for 5 minutes? It’s a 3 or 4 meg program. Must be related to the .NET framework. Using VBA feels like going back to the stone age. I had to write a custom function in Excel for work. So I had to use Visual Basic for Applications. Using that language feels like the going back to the stone age after getting pretty familiar with PHP. I kept thinking “I could do this in five minutes in PHP.” You have to worry about type casting, or rather type conversion, constantly. I had CStr and CDbl everywhere. And you can’t easily do a dictionary array. And it was the lack of sensible type conversion that did me in. My function kept complaining about incorrect types. I ended up finally finding code for what I needed to do online. I didn’t see any obvious differences that would have caused the error. 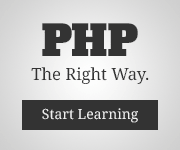 So be glad for PHP being as good as it is. All of the posts older than this came from my old “blog” which was nothing more than a static html page I would update, less often then I hsould have. By installing software to make it easier to post I hope to be posting more often. And since it is so easy to post I hope to be posting on more than just car stuff. I guess I should introduce myself to anyone happening to catch this an a feed. I am a twenty something, going on 30, guy, a mechanical engineer. I graduated college late so I am a little behind in what I feel my professional develoment should be (read I should be more in charge and making more money :laugh:). As a mechanical engineer I have kept in touch with my inner geek. I almost went the computer science route after great success in a community college C programming class. But my love of cars and machinery won out. My affinity for code landed my in geeky jobs once I transfered to university and started doing co-ops. My first co-op was a what was essentially a Center of Excellence for Computer Aided Design & Analysis tools for a very large engineering company. Besides the work with the CAD tools (I worked with primarily Pro/Engineer) they did a good deal of web publishing. Sharing best practices and lessons learned between all of the different divisions and sites thoughout the county (many of which were bought out or merged from different companies) was the name of the game. Oh, and most of the CAD tools were on a Unix environment. So there I learned how to use the Unix shells, and started programming in Perl to make some active pages for the website. My next job landed me at a powerplant. The plant had a system which archived every datapoint from every sensor in the plant in a sophisticated data server. Another ASP based software was purchased to mine out this data and present it ina pretty way to users on the utility intraweb. My job was to help define the software’s pages and common data sets, which could be made to look like a plant operators screen or can do post analysis on data, such as calcuating heat rate, heat transfer rates on certain peices of equipment, or track effiency of the gas turbine compressor. So needless to say I learned ASP and how most database driven web apps work. Now, in my job i use quite a bit of CAD software. Our company’s choice is with the Autodesk products. Actually were are a traditionally heavy AutoCAD company as most of the CAD users so pipe layouts and structural drawings that are suited to 2D. As part of the product design group (and not doing that type of work) I pushed for us to aquire a 3D software package. Autodesk’s Inventor was choosen by management. I have grown to like it and consider myself an intermediate user who is starting to dabble in advanced areas. In my private life I have become involved in a motorsport called autocross. It is a totally amatuer, entry level sport where you take a regular production automobile, with varying levels of modifications, and run them though a small course made with traffic cones in a large parking lot. It is quite fun and challenging. And the people you meet are get. I’ve made quite a few friends doing it. So I got invloved in a geek role with my local autocrossing club and am the admin of their discussion board, which is a phpBB board.